© jane potter. All rights reserved. 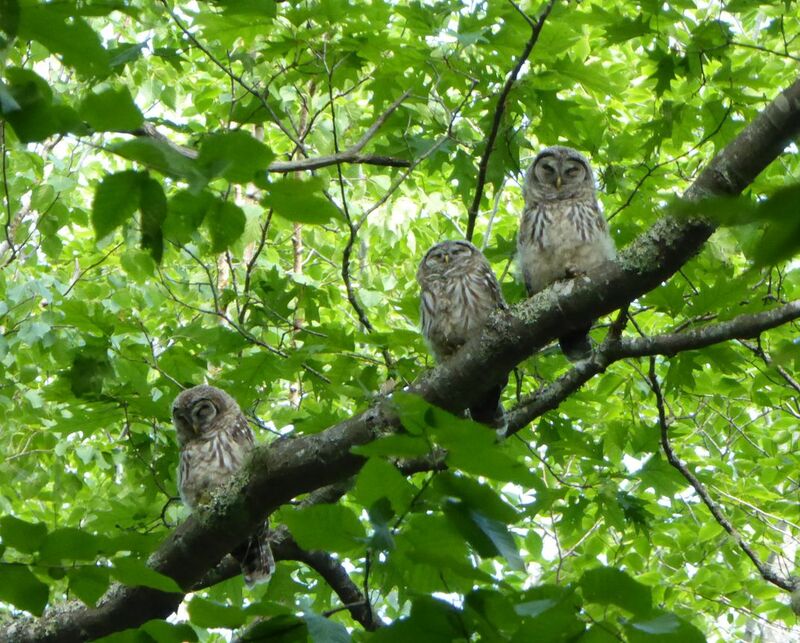 The photo shows three young Barred Owls high on a tree branch near Sieur de Monts Spring, Acadia National Park, ME. They first looked down at me with interest, then realized I was not a threat and they returned to dozing while waiting for Mom or Dad to arrive with the next meal. Date Uploaded: Sept. 14, 2016, 5:21 p.m.